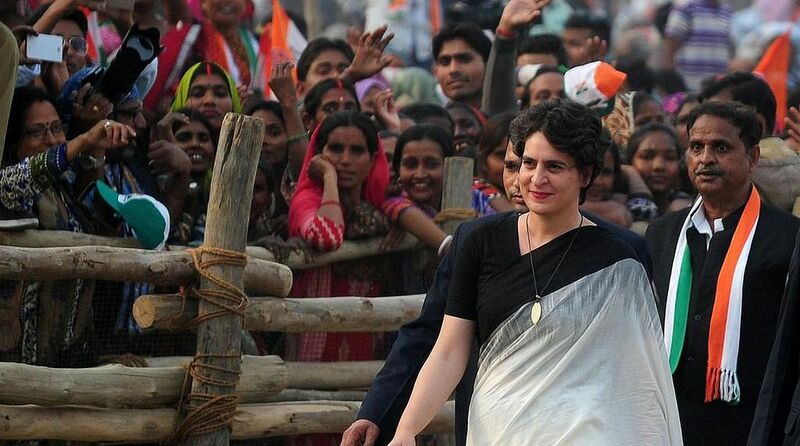 Ahead of her maiden visit to Uttar Pradesh as Congress general secretary, Priyanka Gandhi Vadra in a message to party supporters and voters said she hopes to start a “new kind of politics” in which “everyone will be a stakeholder”. Priyanka and Jyotiraditya Scindia arrived in Lucknow on Monday on their first trip to the state after being appointed the Congress general secretary in-charges of eastern and western UP respectively. They were accompanied by Congress president Rahul Gandhi — all three visiting the crucial state for the first time after the appointments announced last month. The Congressmen are viewing Priyanka’s high profile visit as the first step towards the party’s revival in this politically important state. 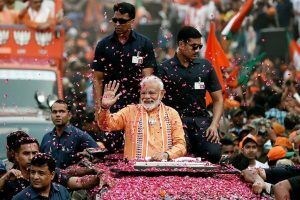 “Come align with us and bring change to Uttar Pradesh,” he added. The cavalcade of the Congress leaders was accorded a welcome at 18 different points between Chaudhary Charan Singh International Airport at Lucknow and the party headquarters located in Mall Avenue in the heart of the city. Earlier on Thursday, Rahul Gandhi had asked the newly appointed Uttar Pradesh in-charges to strengthen the party in the state in “mission-mode”.